Simple web video editing is possible with Interplay Central. Last Wednesday evening I attended the Boston Avid Users Group meeting at Avid Technology headquarters in Burlington, MA. The theme of the night was collaborative workflows in post production and featured a demo of Avid Interplay given by Avid's Bob Russo. Bob really knows his stuff and gave an excellent demo of the different components of the Interplay shared media system, including ISIS, Interplay and Interplay Central. Like the other attendees, I was very impressed with Avid Interplay Central. The purpose of Interplay Central is to allow producers, journalists or editors to build a rough sequence form remote locations using only a web browser. This is achieved by automatically generating Flash video on the fly of the full resolution media in Interplay. For those of you with a mobile device such as an Apple iPad, there is also an app for that. 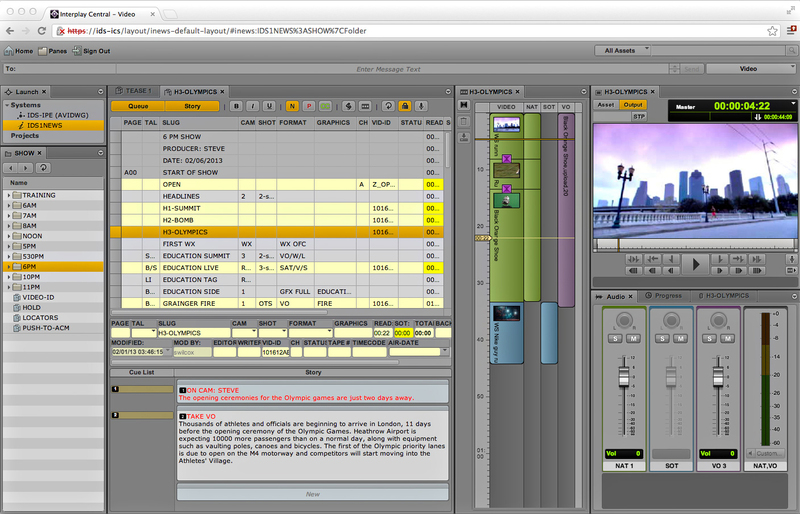 The rough sequences built in a browser can later be finished by an editor using the Avid Media Composer. The voiceover tool in Avid Interplay. Although this cloud-based editing system is meant for rough editing only, a remote editor has access to the same clips as a local editor and has the ability to record and add a voiceover track. Once the voiceover is added, the Media Composer editors connected to the Interplay local network have instant access to that same audio media as well as any changes to the sequence. For Avid Media Composer editors who don't have local access to the Interplay shared storage network, the solution is Interplay Sphere. The Interplay Sphere component gives Media Composer editors access to M-JPEG proxies of the media. These proxies are built on the fly and give the Media Composer editor access to all of the media in the project. 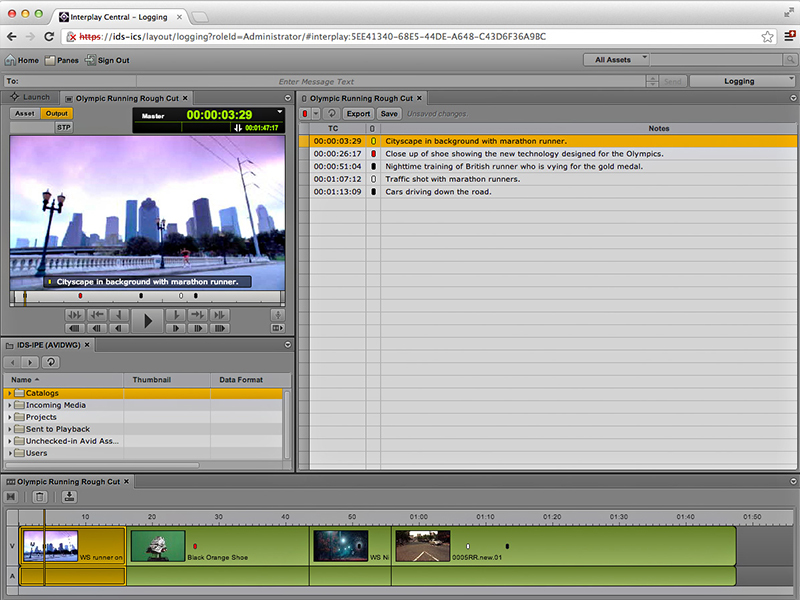 In addition, a remote editor has the ability to add high resolution clips to the project, while in the field. These clips can be pushed up to Interplay media collection, while the editor continues editing. The Avid Interplay system is a lot more than just a shared storage system, it expands the collaboration of editors by no longer restricting that collaboration to those attached to the local network. Although it may not be in reach of a freelance editor to acquire, it would be great to have the opportunity to work at a facility that had the Avid Interplay system.